The Southwest Neighborhood Library, located at 900 Wesley Place, will be closing from September 12 – October 2 to receive a mini-makeover. During the closure, the Teen Space will be improved, new carpet will be installed and the library will be painted. In addition, there will be some new furniture. Library users can renew books checked out from the Southwest Neighborhood Library at any other DC Public Library location or online at http://www.dclibrary.org/. Books can be returned to any DC Public Library location. The closest location for Library services is the Martin Luther King, Jr. Memorial Library, located at 901 G Street, NW. Holds will also be available for pickup at the Martin Luther King, Jr. Memorial Library. In Mayor Gray's 2012 budget, the Southwest Neighborhood Library is set to receive $8.8 million in renovations in phases over the next six years to become a LEED-Silver rated facility. 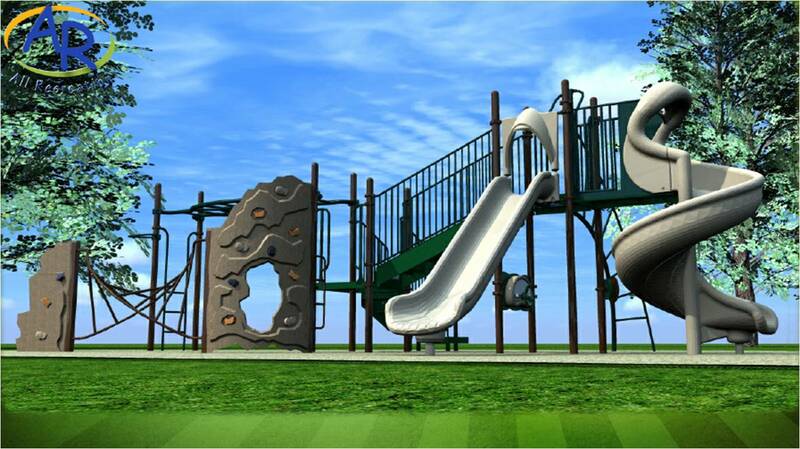 Meanwhile, next door at Town Center East Park, the SW Playground Project is making great progress towards raising $150,000 to build a playground in the grassy areas of the park. The latest large donation has come from the upcoming FANtastic March 10K on September 18, which has raised over $22,000 so far, plus a corporate match of $10,000 from the Mandarin Oriental Hotel. 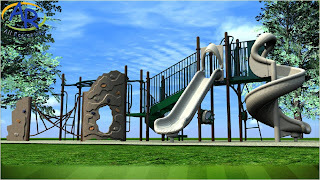 Preliminary concept rendering of one of the three play equipment areas, courtesy of Playworld Systems.